If there were no glitches, we gamers would have missed out on the Team Fortress 2 spies and Mortal Kombat's crimson ninja. No game's code is perfect, and there will always be a few scattered oddities for players to discover. Some glitches are aggravating, game-breaking horrors from the bowels of the code, but others are funny, intriguing or even inspirational. In Issue 289 of The Escapist, William Bloodworth looks at three classic glitches, how they occurred, and the surprisingly positive effect they had on games. The Team Fortress series began with a Quake mod. Players had to take advantage of the specialties and strengths of their teammates if they wanted to defeat the enemy team, so a degree of trust and familiarity between teammates was an absolute must. Unfortunately, the game engine occasionally rendered enemy players as allies due to a graphical glitch. As a result, players often turned a blind eye to an incoming ally, only to fall victim to unexpected friendly fire. The graphics error directly disrupted the team dynamic and led to otherwise impossible comebacks. The Team Fortress bug gave its developers an idea: Create a new class with the express purpose of disrupting the enemy team's strategies. 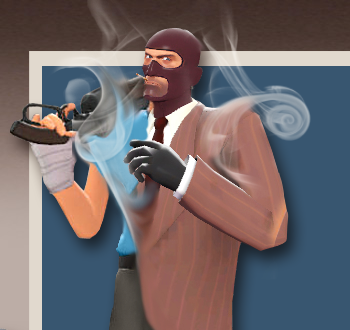 Using the display error as a basis, the Spy has the ability to disguise himself as a member of any class from any team. The Spy added a new level of depth to Team Fortress. His Team Fortress II incarnation plays an important role in ending stalemates and eliminating key targets, acting as the wild card that reinforces the need for constant team communication. Not every glitch is going to inspire some great moment of epiphany, but we often learn just as much from the things that go wrong, as from the things that go right. You can read more about it Bloodworth's article, "Digital Serendipity"